We begin with a farewell. Tonight, after many years and many good beers, the 2 Brothers Beer Hall closes its doors. But hold back those tears because it's only a temporary closure: they'll be reopening in due course with a sexier new look, more taps, more beer garden, more hours and more good times. If you're a regular at the Moorabbin brewery, be sure to pop in this evening for last drinks. A brewery that's on the other side of that equation, having just re-opened in bigger and better form, is Thirsty Crow in Wagga Wagga (pictured above). They managed to get all the work done just in time for their fifth birthday, so head there to celebrate with them on February 27. Victoria is flush with events that will bring you closer to your local craftsmen and women. Starting in Braeside, Boatrocker has announced it will be making a bit of a song and dance about the 2016 release of its much loved barrel aged imperial stout, Ramjet. It'll be a big celebration of all things Ramjet including vertical tastings, 2016 vintage launch, non-barrel aged tastings, barrel-aged but unblended tastings, tastings of whiskey made in the barrel before it was Ramjet, and plenty more throughout an epic-sounding day. As part of the Melbourne Food and Wine Festival, The Craft & Co will be including beer as one of the six artisan products it will be showcasing at its Craft Day Out event by way of tastings, demonstrations, workshops and a giant feast. Another feast – at least if you're a fan of farmhouse, sour and wheat beer styles – is happening right now at The Alehouse Project where they're featuring 24 funky beers until the end of the month. Over at The Terminus, they're searching for Victoria's best pale ale and they'd like your help doing it. 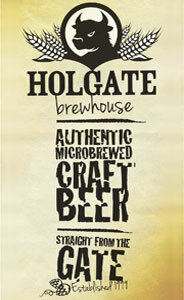 To wit, ten local brewers will be descending on the venue on March 5 to try and convince you theirs is the top drop. Before then, Two Birds will be flying into The Termi with eight beers – apparently the most of theirs ever to pour in one bar at one time – and two brewers for a day-long tap takeover. Out west and north quite a ways, the head brewer from Matso's will be freed from the Broome brewery to share their new beer with drinkers in Perth; it's an all-Australian affair brewed with Galaxy hops and wattle seed. Another inbound brewer to Perth is that from Nomad who will be landing at the Dutch Trading Co for a six beer degustation covering their core, seasonal and collaboration range. 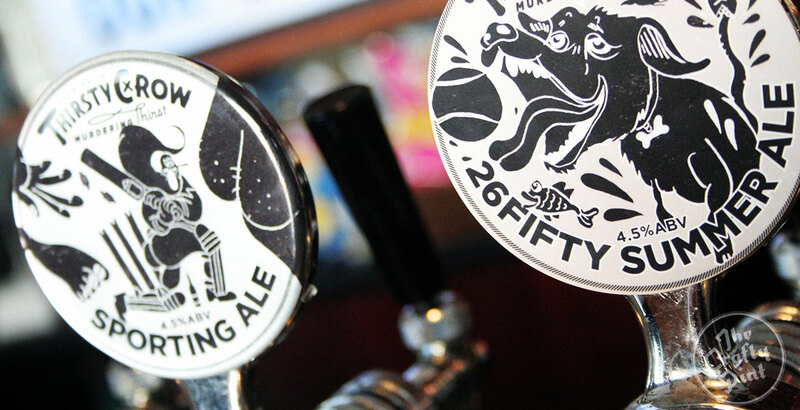 Doing the reverse trip are a handful of lesser seen releases from Feral which will be tapped at Sydney's Forest Lodge Hotel – should be a fine way to liven up your Monday night. As usual there's plenty more happening in the inner west. One suburb over from the Flodge is the Febrewary Craft Beer Festival at Annandale Cellars which will showcase more than 50 beers from local producers. Willie The Boatman is turning the grand old age of one and the party will be hosted over a couple of days by sister venues Keg & Brew and Dove & Olive. They'll feature tap takeovers, a new Champagne ale and a kissing booth (who said brewers prefer hugs?). Over in Pyrmont, we suspect the Welsh manager at the Quarryman's Hotel has something to do with them putting on a Celtic tap takeover in the first week of March. Either way, it'll feature a number of Celtic or Celtic-inspired beers and breweries from around the world. In South Australia's blossoming scene, Big Shed will be pouring beers of many colours at Sweet Amber Brew Cafe when they take over the garden. Meanwhile, state compatriots at Prancing Pony are inviting motorcycle enthusiasts to cruise along for a day of Blues, Beers & Bikes at the brewery. While there, you'll be able to check out the exhibition they're hosting as part of the 2016 Adelaide Fringe Festival. To round things out, today is the unveiling of a new look at the Illawarra Brewing Company and they’re going big from the off: the first new beer to be released under the rebrand – and the last from very recently departed head brewer Chris Sewell – is a Double IPA. At very much the other end of the spectrum, the New England Brewing Company got in touch to say they’d be popping a single cask conditioned pale ale on the bar tonight at the Local Taphouse in Darlinghurst. However, we get the sneaky suspicion someone was a bit eager with the mallet and tapped it last night, making what was already a limited release even more so. So make haste if you’re into real ale. You can view the full calendar of events on the site here. And If you've got a beer event you'd like to share with our audience, drop Nick a line at events@craftypint.com.